With this Magento extra fee extension, you will be able to charge additional product or service fees on your ecommerce store. The Mageworx Multi Fees Magento 2 module is similar to Extra Fee by Amasty, so you should be already familiar with its functionality. Offering additional service on an ecommerce site is one of the efficient ways to stand out from the competition on the market and retain customers. For most online shoppers, such services as rush delivery or a wider choice of shipping options are essential for deciding whether to come back to a store. So, by providing extra services, you will increase your profits while satisfying your customers and gaining their loyalty to your brand. With the Multi Fees Magento 2 extension, you will be able to add an unlimited number of extra fees to any of your product or service. Thus, you can generate more profit by introducing such additional services, like rush delivery, extended warranty, gift wrap, product insurance, and many more. Moreover, adding shipping and payment fees to your online shop will let you share your shipping and payment processing expenses with your customers. For example, you can charge 10% extra for Eco Delivery shipping method and 5% extra for UPS Ground shipping method. The Magento fee extension allows you to segment fees by customer groups and store views. 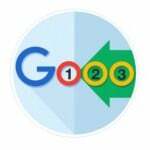 Besides, it supports various conditions that can be used for displaying or hiding additional fees. Moreover, you are free to customize fee data. These and other features are described below. 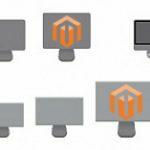 So, why should you use Mageworx Multi Fees Magento 2 extension? It can help you drive more sales and increase average order value. The module improves customer experience since it provides the ability to add rush delivery, gift wrap, extended warranty and other services to a customer’s cart. You can add an unlimited number of these services, specifying such parameters as a fee title, description, and position in a shopping cart. With the Multi Fees module, you can set additional shipping fees and apply them to any shipping method on your store. It is also possible to add a Rush Delivery shipping option with different values of an extra price depending on the delivery time. Besides, you can assign extra payment fees to any payment method available on your web store. In this way, you can charge more for Cash on Delivery payment option, or add a processing fee for specific payment methods, for example, PayPal. The extension allows choosing different input types, position on a checkout page, and other settings for all created fees, as well as how a fee will be applied. Note that everything is managed via a convenient backend interface. As for the support for multiple stores and customer groups, the Mageworx Multi Fees Magento 2 extension provides the ability to show or hide fees based on selected product and cart attributes. You can even create advanced shipping or payment fees conditions based on shipping or billing details of a cart. Flexible segmentation and fees conditions will help you customize your offers not only according to shoppers’ preferences and location but also based on other attributes, making the shopping experience more precise. To make a long story short, let’s see how to add extra fees in the Magento 2 Admin. You can find the extension’s settings under Sales → MageWorx Multi Fees in the Magento Admin. Action – edit or delete. Let’s see how to create a new cart fee. First, click on the “Add New Cart Fee” button on the same MageWorx Multi Fees page. Next, you have to deal with four tabs of settings: Main, Manage Options, Conditions, and Manage Labels. Under the Main tab, you should specify the following fee information: Name, Description, Customer Groups (press and hold CTRL to select several), Required (choose whether the fee is mandatory or not), and Status (enabled/disabled). Next, select Store View (press and hold CTRL to select several), Sort Order (fee position in a cart), and Tax Class (None or Taxable Goods). If you enable Customer Message, specify Customer Message Title. If Date Field is enabled, insert the text for Date Field Title. 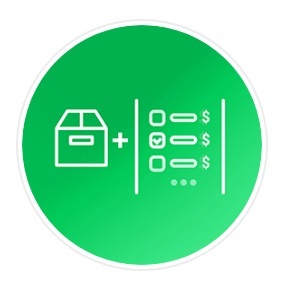 As for the Manage Options tab, it allows you to choose input type (Drop down, Radio, Checkbox, or Hidden), decide whether the fee is one-time or not, and choose where to apply it (Subtotal with Discount, Shipping & Handling, or Tax). Besides, you can add options here. Note that the “Required” fee needs the “Is Default” option to be chosen. In Conditions, you can make your rule more precise by using various cart and product attributes. Under the Manage Labels tab, you can create store view-specific fee names, descriptions, customer message titles, and date field titles. The grid with shipping fees is located under Sales → MageWorx Multi Fees → Manage Shipping Fees. The shipping fees grid has the same columns as the cart fees grid. To create a new shipping fee, click the “Add New Shipping Fee” button. Fee Information section has the same four tabs as in the cart fees information settings, plus Shipping Methods tab. Here you can pick shipping methods you want to use on your store for extra fees from the wide choice of options. 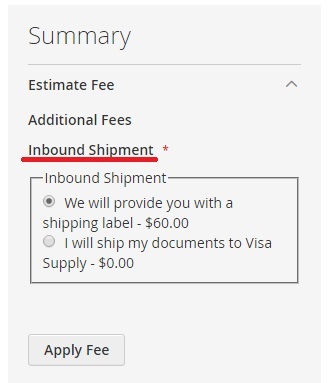 Note that for the shipping fees Conditions tab allows using additional cart attributes related to the shipping area. To view and manage your payment fees, navigate to Sales → MageWorx Multi Fees → Manage Payment Fees in the admin panel. Here you will see the grid with all created payment fees. When creating a new payment fee, you will need to configure the fees in the five tabs: Main, Manage Options, Payment Methods, Conditions, and Manage Labels. Main, Manage Options, and Manage Labels tabs have the same settings as described in the cart fees configuration. In the Conditions tab, you will see additional cart attributes related to billing details. In the Payment Methods tab, you should select the payment options for which you want to charge payment processing fees on your store. As for the general configuration section, it is available under Stores → Settings → Configuration → Mageworx → Multi Fees. This section allows you to enable cart fees, decide whether to apply fee on click, and choose calculation settings (Excluding or Including Tax). Here you should also specify whether to exclude or include tax while displaying prices in the additional fees block, as well as additional fees amount in cart total, and orders, invoices, and credit memos. Now let’s see how the Mageworx Multi Fees Magento 2 extension is shown to customers. In the example below, fees are available in the Summary section on the shopping cart page. Additional fees can also be displayed in the Order Summary at checkout. It includes all extra charges. In our case, it is Inbound Shipment. Frontend users have two options for shipment displayed as radio buttons. The additional fee is also marked as required (with a red asterisk) here. Payment fees are added to the Review & Payments screen at checkout. In the example below, payment processing fee is marked as required for the order. Customers can also see additional charges in the order details of My Orders tab under My Account menu. The Mageworx Multi Fees Magento 2 extension provides an excellent opportunity to introduce additional services on your web store and charge extra for them right in the customer’s shopping cart. The module is easy to configure and use. 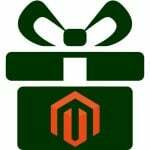 Now you can purchase the Magento 2 extension for a discounted price of $169 (regular price is $199). 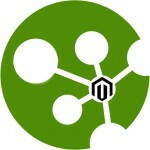 For the Magento 1.X version, you will need to pay $119.